SPWAAAAAAAWWWWN! He’s X-TREEEEEEME! He’s the hippest dude on the block! He’s fliggity-fly! Other goofy and dated phrases as well. In the ‘90s, Spawn was just like Raymond: everybody loved him. And why wouldn’t they? He had all the best stuff. He was like Batman and Spider-Man and Venom all rolled into one. And he even had the one thing so heinously lacking from those three: chains! Kids love those things! Todd McFarlane used Spawn as one of the main launching points for Image Comics, with the hopes of building a merchandising empire to rival his old employers at Marvel. He initially shopped Spawn and all associated characters around to various established toy makers, including Mattel, who almost took Todd up. Ultimately, Todd decided the process was just taking too long, cut out the middle man, and founded Todd Toys* to release the Spawn figures on his own. I’m looking at one of those early figures today. 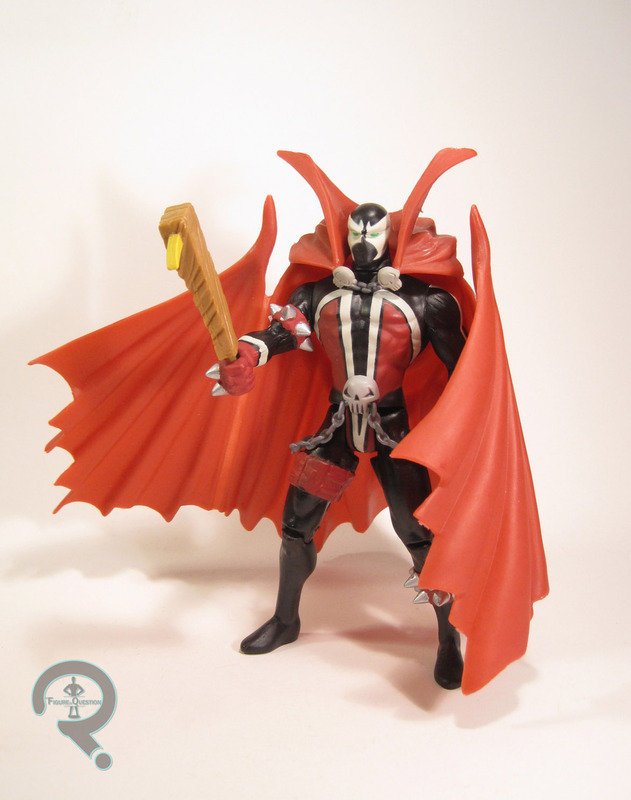 Spawn was released as part of Spawn Series 1. He was the main Spawn of that particular series (there was also a Medieval Spawn released), based on Spawn’s standard look at the time, which is more or less the same look he’s had for all the years since. The figure stands about 6 inches tall and he has 7 points of articulation. His sculpt was new to him (though pieces of it were used elsewhere later). For all of Todd’s insistence that his toys were the next step, this figure feels very much like a slightly dumbed down Toy Biz release. This dude would look right at home with the Spider-Man figures of the same era. The detail work is all rather on the simplistic side, and the details are a little soft, especially as when compared to Todd’s rather sketchy illustrations from the book. I mean, admittedly, I sort of like this look a little bit more than Todd’s stuff, since it’s a little bolder this way. Hands down, the most awkward feature is that damned sentient cape. It’s big, and it’s floppy, and the “hinges” on the sides don’t really work at all. Also, unlike every other cape on every other caped figure ever, there’s this weird extra attachment piece that plugs it into his lower back and keeps it elevated above his shoulders in a really awkward way. When a character whose whole gimmick is his cape looks better without the cape, you may have made a wrong turn at some point. The paint work on Spawn is okay, but not top notch or anything. It gets all the basic work down, but most of it’s pretty fuzzy around the edges, and there’s not really anything beyond the very standard color work. In addition to his removable cape, Spawn also included a….wooden board…with a nail…sticking out of it? I don’t know Spawn that well, but I don’t recall this being one of his signature items. I went almost 25 years of my life without a single Spawn figure. Which…seemed wrong somehow. I found the standard Spawn at Lost in Time Toys over the summer, and figured why not, right? He’s okay. Nothing particularly special or noteworthy. But this launched a toy company, and had quite an impact on the industry as a whole in the long-run, so it’s a nice piece of history. And now it’s in my collection. Woooeeee. *Todd Toys is now known as McFarlane Toys, due to pressuring from Mattel, who wanted to avoid confusion with Barbie’s younger brother Todd…who they then abandoned. So, I guess The Walking Dead TV-show starts up soon. Or maybe it already started back up. I don’t actually know, because I haven’t watched the show since about fifteen minutes into this season’s premiere, nor will I be going back. 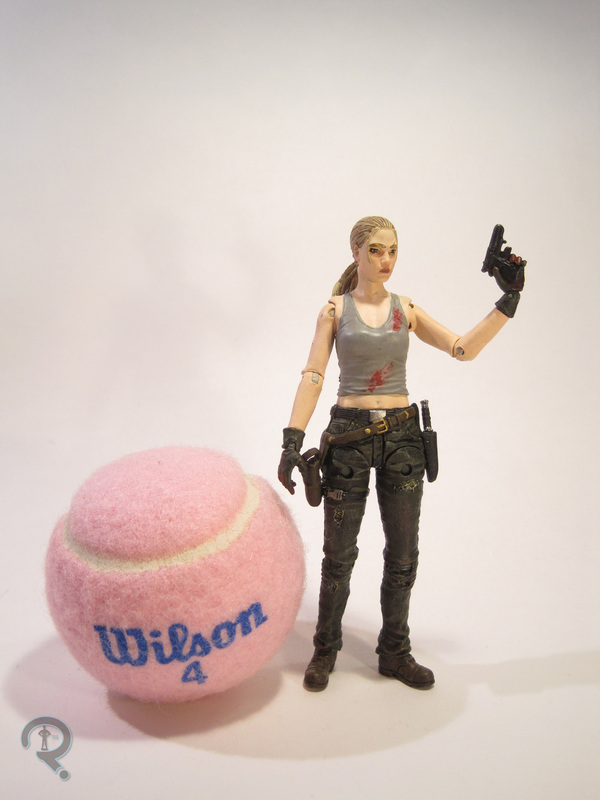 But, I’ve still got all these figures, so…yeah… Here’s Michone. 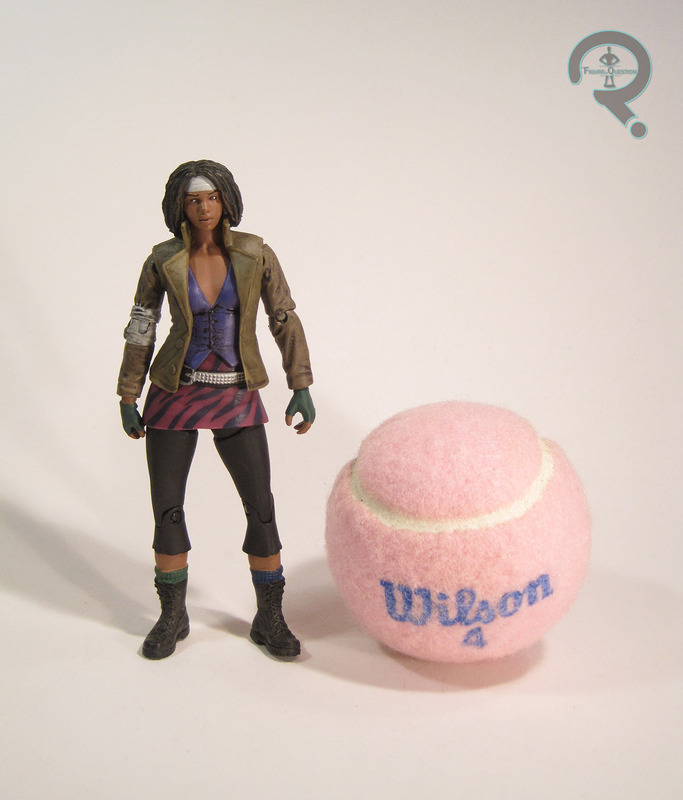 Michone was released in the first series of McFarlane’s comic-based The Walking Dead line, which hit around the same time as the TV show’s series premiere. The figure stands about 5 inches tall and has 18 points of articulation. So, right off the bat, there’s the weird scale thing. I’ve looked at the TV line and one or two of the comic figures, so the scale’s not new to the site, but it was actually new to this particular line. It was an odd choice to say the least, since the rest of the industry was doing either 3 3/4 or 6-inch scale at the time. McFarlane’s gotta be different. Michone is based on her first appearance from the comics, which is a fairly standard look for her, but at the same time a bit gaudy compared to the character’s look as the series progressed. The sculpt is alright, I guess. It certainly wasn’t as bad as some of how of the other figures from the earliest days of this and the TV line. That being said, while the sculpt isn’t bad, it’s also kind of boring. The pose is just sort of her standing with her hand holding the katana downwards. There’s also pretty much no trace of Charlie Adlar’s art style in the sculpt; she instead looks like just some generic sort of super model or something. 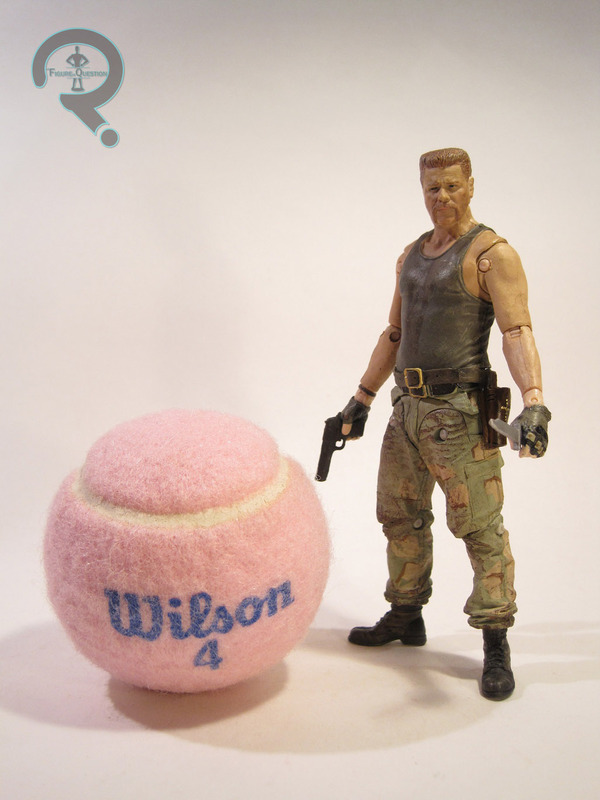 Not exactly very indicative of Michone as a character. I guess it could be worse, though. She’s not the ultra-hideous figure that the first Rick was. At the very least, the paint on Michone is actually pretty solid. The colors are vibrant, which works surprisingly well, and all of the application is very clean. Miocene was packed with her katana, a power drill, and a spoon. The sword is pretty much expected, but the drill and spoon are some pretty fun issue specific pieces, even if she didn’t use them in this outfit. I bought the corresponding Rick figure from this line first, which didn’t really make me want to pursue any of the others. But, Cosmic Comix had their biggest sale of the year going, and she was 40% off, which was enough for me to go for it. It’s hard to get super excited about this figure, but she certainly could have been far worse. I have *a lot* of Minimates. The vast majority of them were purchased because I actually wanted them, or was invested in the character presented. 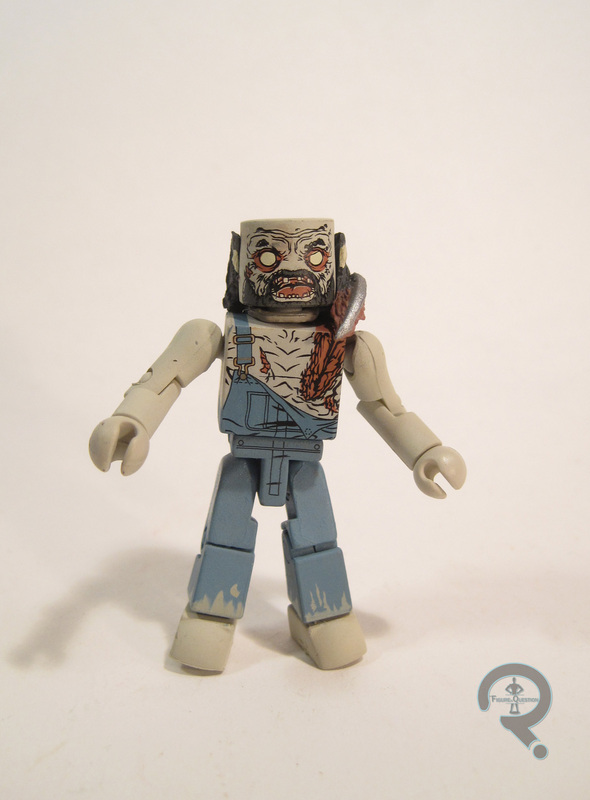 However, some of them I have for no other reason than “they’re Minimates.” Today’s focus, the Farmer Zombie, is one of the latter. 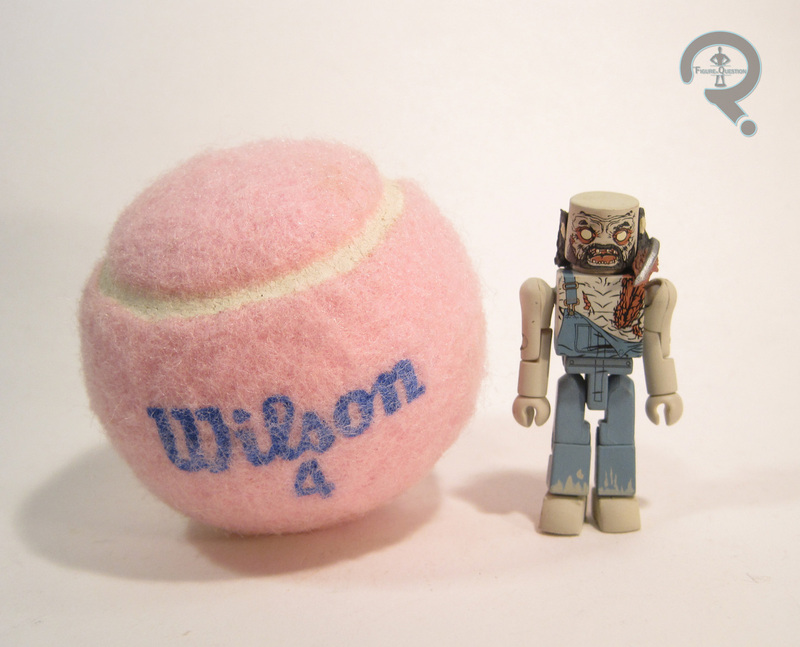 The Farmer Zombie was released in the third series of The Walking Dead Minimates. 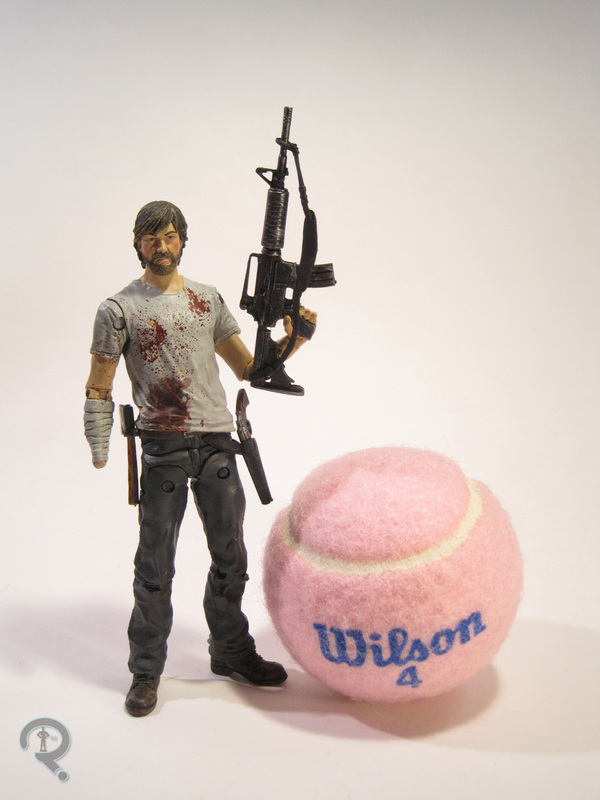 He was double-packed, and could be purchased with either Prison Hershel or battle-damaged Tyreese. The figure is about 2 ½ inches tall and has the usual 14 points of articulation. The Farmer Zombie is based on a zombie that appeared in issue 49 of the comic. 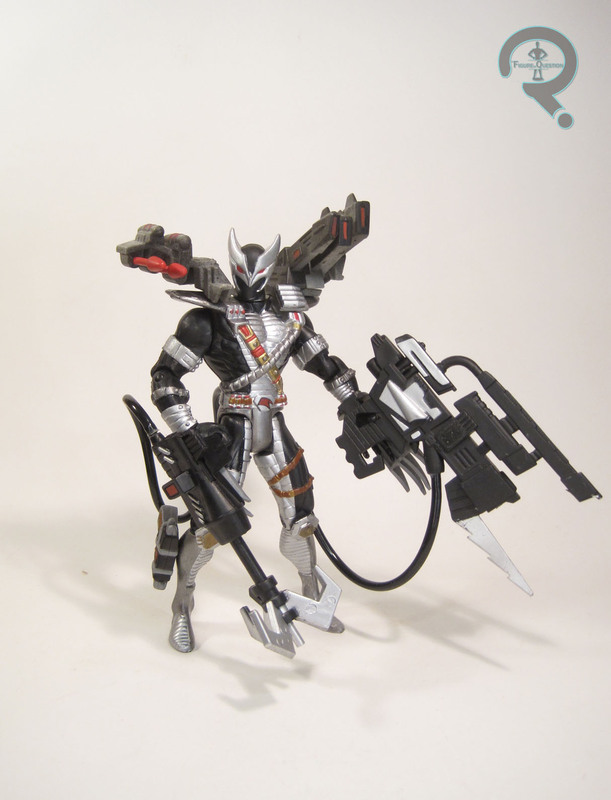 He uses the basic ‘mate body, along with an add-on piece for his hair/the saw-blade stuck in his shoulder. 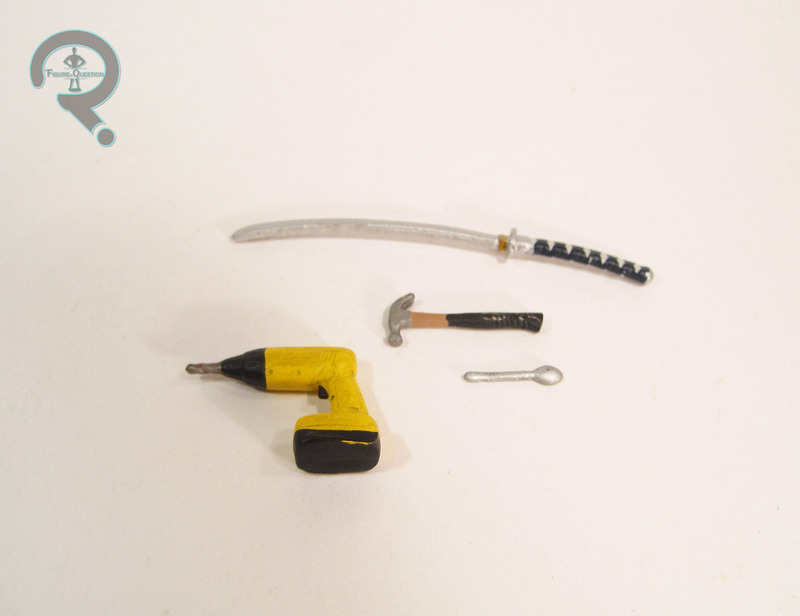 The add-on piece attaches from the bottom of the head, slipping over the neck peg, rather than plugging into the top of the head like most ‘mates. The piece works reasonably well, though it does greatly limit the posability of the head, since the whole thing’s all one piece. As with most Minimates, paint is this figure’s strongest suit. The base colors are suitably drab, and the detail work is exceptionally well-handled, with some great texturing and depth, which makes the guy actually look pretty darn creepy. The Farmer Zombie’s one accessory was a clear display stand, though my figure was lacking his. Series 3 is actually where I stopped really picking up Walking Dead Minimates, so I didn’t get this guy new, nor did I feel any huge need to track him down later. I ended up getting him when I ordered a random loose “Mystery ‘mate” from Luke’s Toy Store, along with a few other items. I wouldn’t have gotten this guy otherwise, but I’m glad I did, because he’s actually a pretty well-put-together ‘mate. 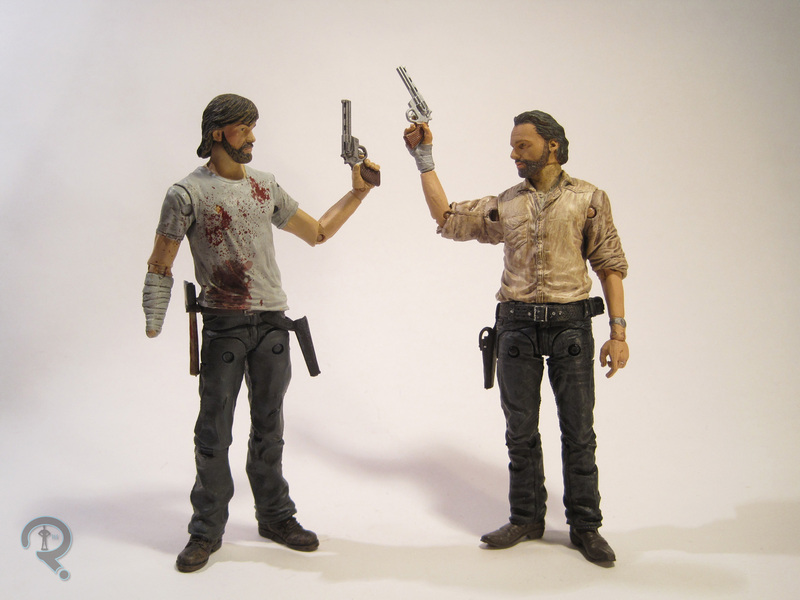 When McFarlane Toys first launched their Walking Dead figures, they were…well, they were pretty darn terrible. The sculpts were weirdly proportioned, they looked very little like the characters they were supposed to represent, and their articulation was awkward at best. They had launched the comic and TV-based lines pretty much simultaneously, and both were met with a less than stellar reaction. So, the comic line went on hiatus and the show line…um, removed the articulation? Just for one series, anyway. Then the TV line revamped itself with Series 3, to a fair bit of success. The comic line followed suit, and has been doing a lot better. Let’s look at the line’s most recent take on the lead character Rick Grimes. 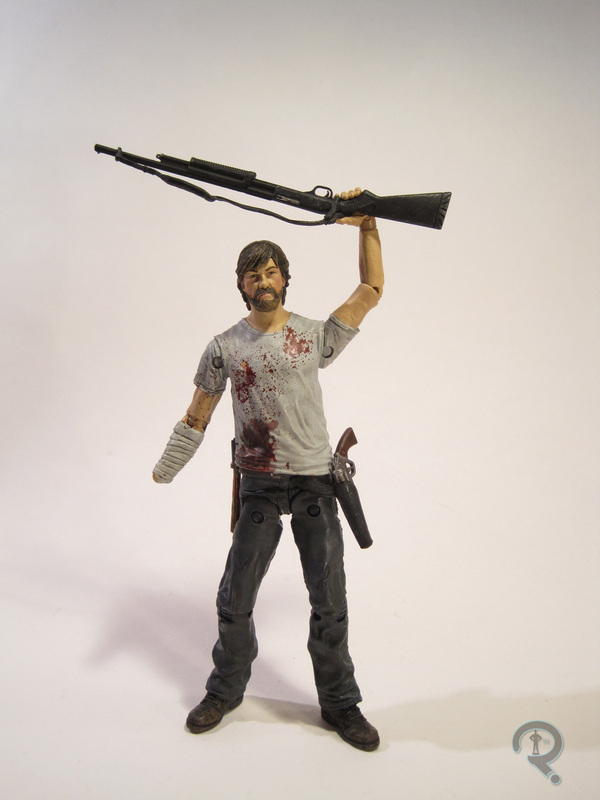 Rick was released in Series 3 of McFarlane’s comic-based The Walking Dead line. The figure stands about 5 inches tall and has 22 points of articulation. Losing a hand generally cuts back on articulation, so he’s down a few points there. Rick’s based on his look post issue 50 or so. He was pretty consistently grizzled from that point forward, so this figure can represent just about any point in the series after that. Rick has what appears to be an all-new sculpt. It’s possible his legs might be shared with a previous figure, but I really can’t tell. Like Andrea’s, Rick’s sculpt does a pretty great job of managing to look like artist Charlie Adlard’s illustrations while still managing to have a decent real world feel. I don’t think the head sculpt is quite as good a match for the art as Andrea’s, but it’s not too far off. The body sculpt does a great job of capturing Rick’s more diminished build as the series has gone on, and it features some fantastic detail work, especially in areas such as the bandaged arm. Rick’s paintwork is pretty well handled. His colors are appropriately dulled without being too boring. He’s got a substantial bit of blood splattering, which adds a nice battle worn touch to the character. It’s also worth noting that, unlike Andrea, Rick’s arm joints are molded in flesh tone, so the color won’t scrape off. Rick is armed with his revolver, a hatchet, a shotgun, and an assault rifle, which is a rather impressive assortment. I picked up Rick here at the same time as yesterday’s Andrea, from Cosmic Comix during a pretty great sale. I had actually though about buying him a few times before, but just never got around to it. I was happy that he didn’t have any of the breakage/molding issues that Andrea did. He’s not the most exciting figure of all time, but he’s a pretty solid take on the series’ lead character and definitely worth a purchase, though maybe for not for quite the full price. The Walking Dead is a massively successful television show, however, as just about everyone knows, it didn’t start out on the small screen. The brand began its life as a comic book series, which itself became rather successful. McFarlane Toys managed to snag the toy rights to both the comic and TV incarnations of the series. Things didn’t start off so great for either line, but McFarlane seems to have turned the lines around. The TV line has become their main focus, but they haven’t abandoned the comic side of things. Today, I’ll be looking at their version of Andrea, a character who was treated a little better by the comics than she was the show. 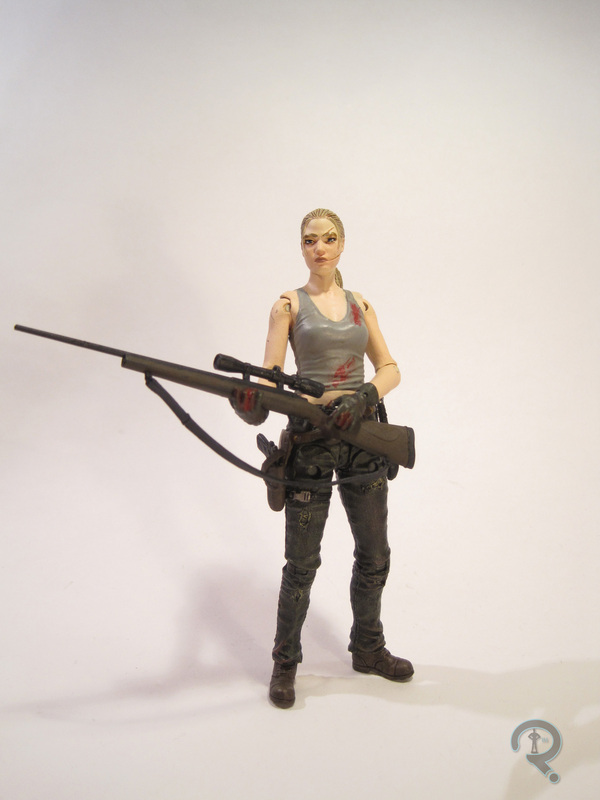 Andrea was released as part of Series 3 of McFarlane’s The Walking Dead comic book line. The figure stands just shy of 5 inches tall and features 26 points of articulation. On my figure, one of the wrist joints was broken out of the package, so she lost a point there. Andrea is based on her appearance in the series from around the issue 90-100 range. She’s got the scar she received during her stay at the prison, but it seems to have faded, as it did later on in the series. This means that she matches pretty well with the other two human characters in Series 3 as far as the timeline of the books. 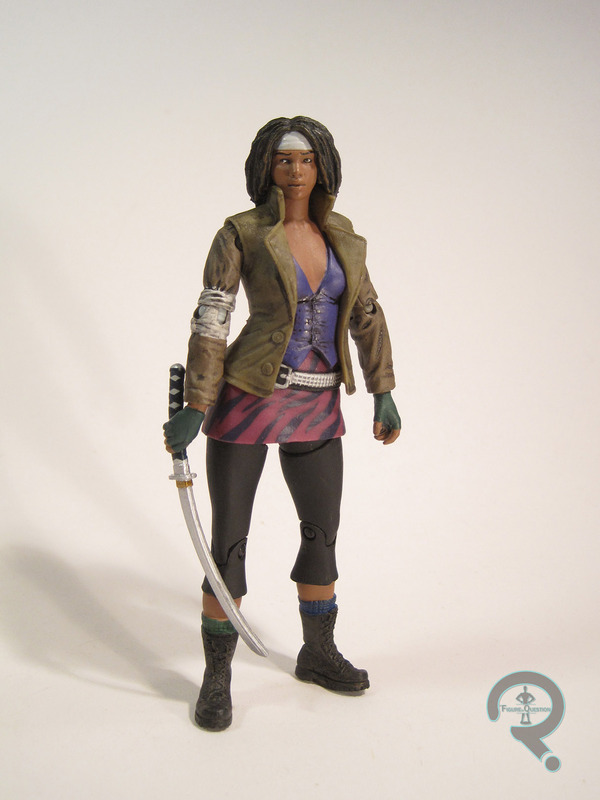 Andrea has an all-new sculpt, which does a pretty good job of capturing how she looks in Charlie Adlard’s illustrations. The face, in particular, is spot on to her design. What’s nice about the sculpt is that she stays true to Adlard’s style while also still looking like a fairly realistic person. There are plenty of fine details throughout the sculpt that add some pretty great dimension to the figure. Even though she’s a comic-based figure, she probably wouldn’t look too out of place with the TV-based figures. Andrea’s paint isn’t terrible. For the most part, the details are clean, and there isn’t really any slop or anything. I wish they had molded her arm joints in flesh tone plastic instead of painting them; a few poses and the paint’s mostly gone, revealing an unappealing grey. Some of the paint is also a bit on the thick side, which tones down the sculpted detail quite a bit. Andrea includes a knife, pistol, and her trusty sniper rifle. It seems like my figure was towards the end of a stock of plastic, as the knife and pistol both appear to have just a little less plastic than they should. A while ago, I stopped reading The Walking Dead, due in no small part to a rather adverse reaction to the comic’s 100th issue. The show was enough for me. At that point, the comic line of figures was on an extended hiatus between Series 1 and 2, so when the line returned, I had moved away from all things comic related, so I didn’t pick up any of the figures. So, why did I pick up Andrea? Well, a few things. For one, as I noted in the intro, I was never totally pleased with the show’s handling of her. Secondly, Cosmic Comix was having a sale where Walking Dead figures were $5. That was a substantial enough mark-down that I figured I’d go for it. The figure’s got a few flaws, several of which I’m sure are isolated to my figure, but are flaws none the less. At full retail, I probably would have been slightly disappointed. At the price I paid, she’s really not bad, and she’s certainly on par with anything from the TV line. 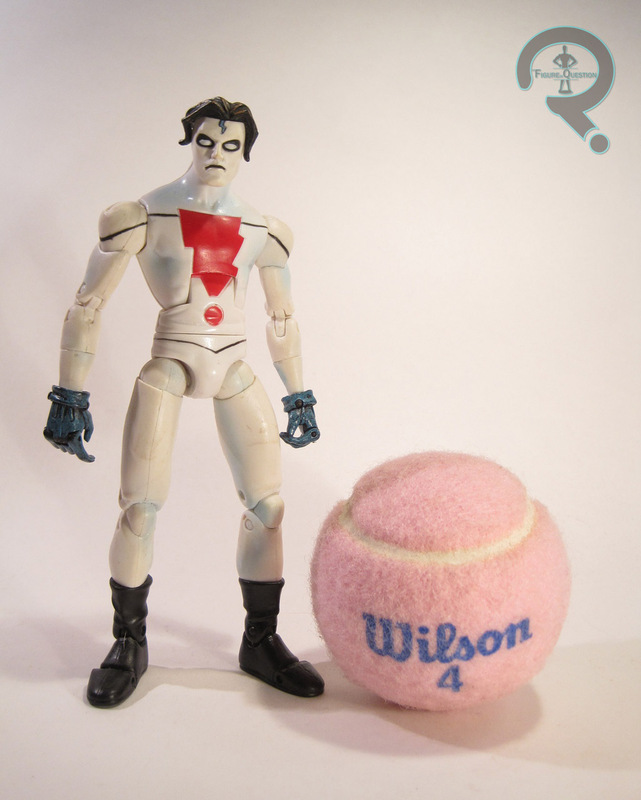 The story of Toybiz is an interesting one. They first made their mark on the industry with their DC Superheroes line, which is generally remembered for a) being a rip-off of Kenner’s DC Super Powers and b) not being very good. When the DC license went back to Kenner, Toybiz picked up the license for Marvel, which ended up becoming their defining property. In 1996, Marvel filed for bankruptcy, and the now successful Toybiz bought them out. 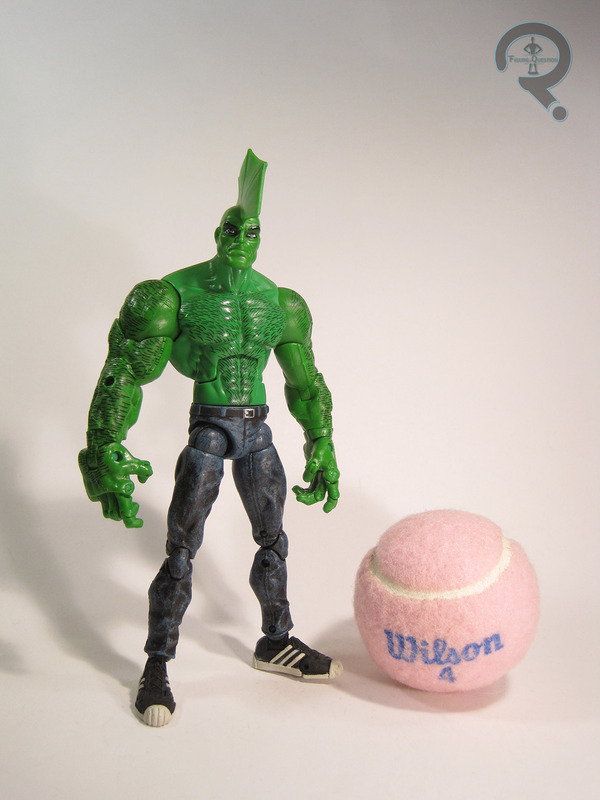 Toybiz was re-formed as an in-house toy company for Marvel. Marvel eventually decided it was more cost effective to license the property out. Toybiz was rebranded “Marvel Toys,” but they were left without a primary license. They had a lot of success with their Marvel Legends line, and they still owned all of the molds, so they decided to do a Marvel Legends-style line with characters from the numerous non-Marvel/DC comics that have emerged over the years. 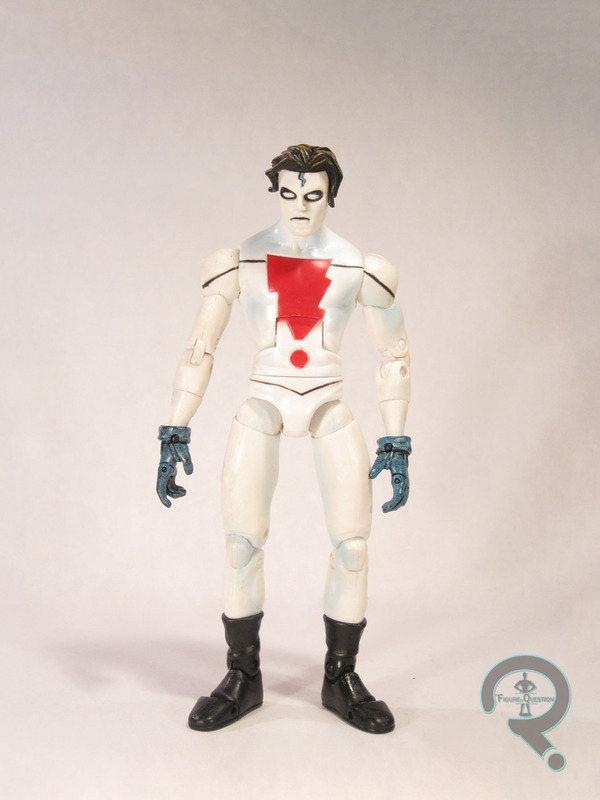 One such character was Mike Allred’s Madman, a personal favorite of mine. I’ll be looking at his figure today. Madman was released in the first series of Legendary Comic Book Heroes. He was something of an odd-ball in an assortment mostly focused on 90s anti-heroes, but he was a cool addition nonetheless. The figure is roughly 6 inches tall and he features 36 points of articulation. He’s based on Madman’s look a little ways into the series, after Allred had refined him a bit. It’s his signature look, so it was a good choice. I’d heard over the years that this figure used the Marvel Legends Face Off Daredevil as a starting point, but a quick look at that figure was enough to convince me otherwise. Truth be told, it looks like Madman got an all new sculpt out of the deal. It’s an impressive merging of styles. He’s been made to fit the ML style that LCBH used, but he still features a lot of traits that are undeniably Allred influenced. The end result is some that is cleaner and has aged a bit better than most of this figure’s contemporaries. 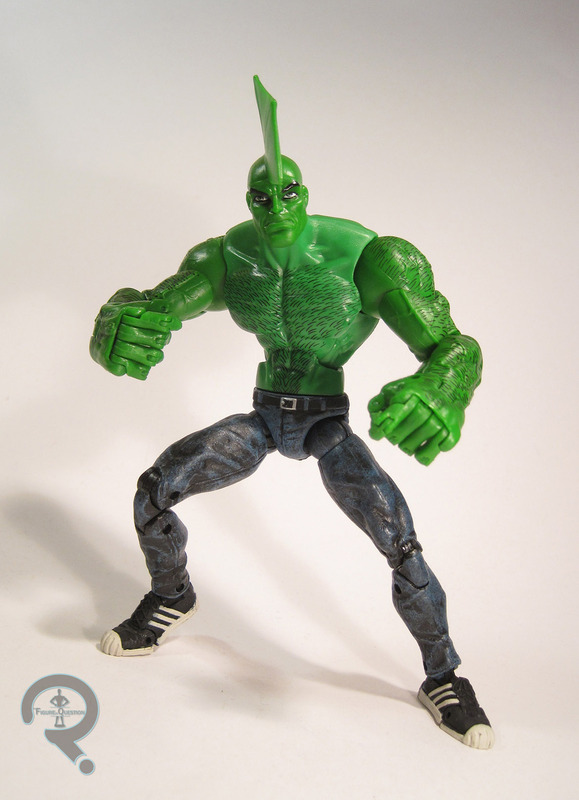 The figure still has a few of the odd proportions that plagued the Toybiz Legends, namely the protruding shoulders, gangly legs, and flat feet, but overall, he ends up looking pretty good. Madman’s paint is pretty well handled. For the most part, everything is clean, and there isn’t any real issue with slop or bleed over. The blue used to accent the white parts of the costume is a little on the heavy side, but it could certainly be worse. Madman included a piece to Pitt, the B-A-F from this series. Mine was purchased loose, so I never had said pieces. I missed the boat on LCBH. I remember seeing them in stores, and I even remember looking at Madman a few times. However, I didn’t purchase a single one while they were at retail. A large part of that was that I hadn’t read most of the series represented, Madman included. For Christmas a few years ago, I received the first three volumes of Madman and I absolutely loved them. The following summer, I was visiting Yesterday’s Fun (a favorite store of mine), and I came across this figure loose. All in all, he’s a fantastic figure. 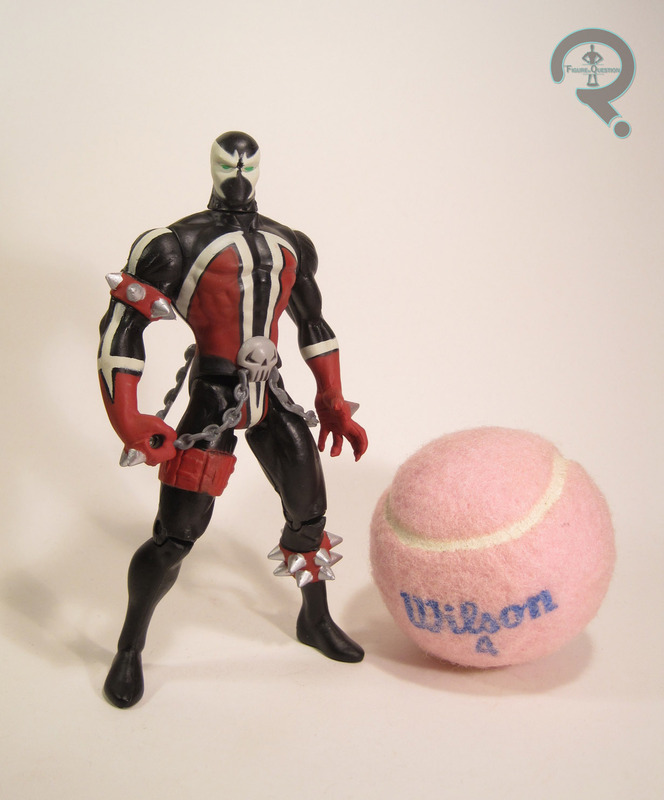 He’s not hindered by the same issues that hold back a lot of the Toybiz Marvel Legends. It’s a shame that Marvel Toys was unable to make this line a success and get a few more properties added in. So, last day of Walking Dead stuff (at least for a little while). In my review of Carol, I mentioned how the TV Show has really turned around my opinion of some of the comic characters who have made the transition. The Governor in the comics generally seems to be a rather popular character. However, I’ve never really cared for him. To me, his over the top nature and the fact that he was completely devoid of any likeable traits just made the character rather annoying to read. In the show, he was given a much quieter demeanor and numerous episodes focusing on his rationale for the things he did. He was still a bad guy and he was still crazy, but he was a wildly more intriguing character. So, let’s have a look at the figure! 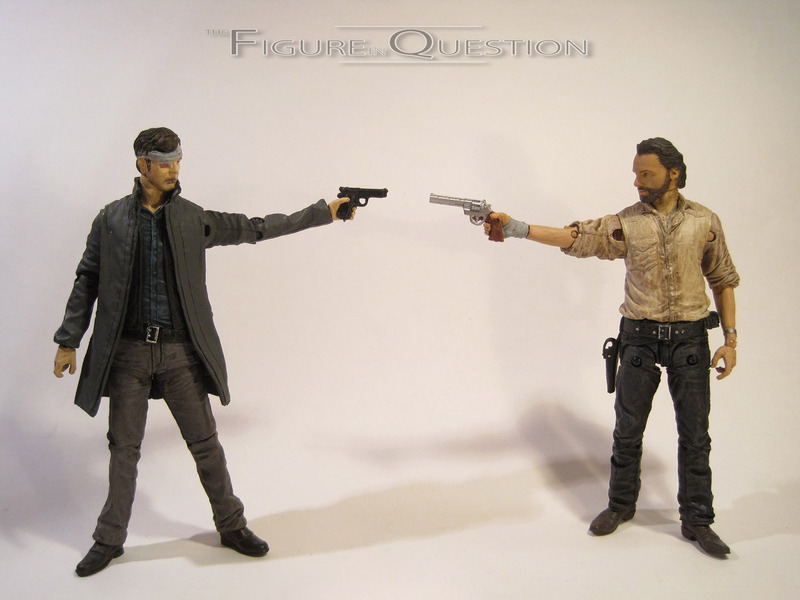 The Governor was released in Series 6 of The Walking Dead TV-based line from McFarlane Toys. This marks the second Governor figure in the TV line, following his first figure in Series 4. The figure is a little over 5 inches tall (David Morrissey is a tall dude) and he has 23 points of articulation. Sadly, he’s the only (human) figure in this series not to get the new style hip joints, but his long coat would have restricted them anyway, so it’s not too bad. The first Governor figure was based on his look in early Season 3 (though a later look was possible with the extra eye-patched head), where as this one depicts him after he’s begun to sink more into his villainous side. 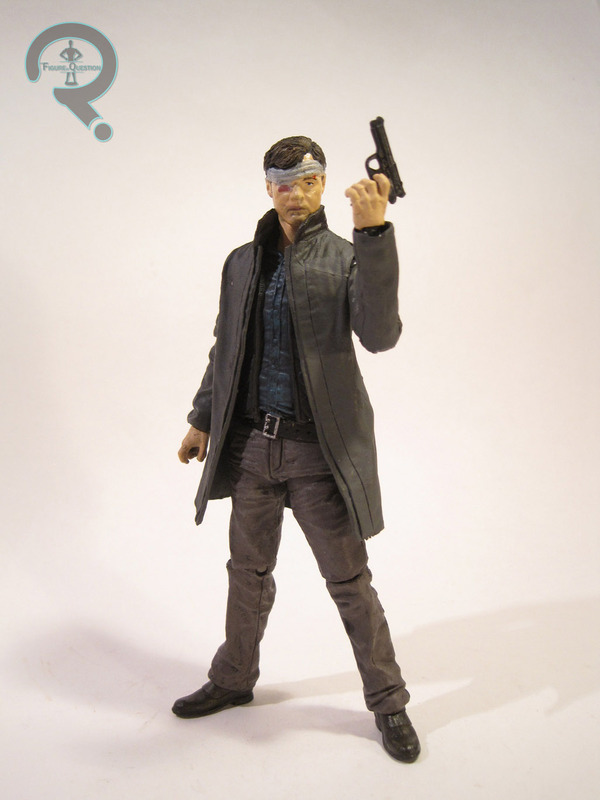 In his default setup, this figure depicts the Governor from smack-dab in the middle of Season 3, but it can also represent the character’s later appearances. Starting with Series 5, each series of the line has one figure that’s built on a previous figure. The Governor takes that spot in this series. He makes use of the pelvis, legs, feet, and hands of the Series 4 Governor, as well as a slightly retooled torso, an all-new head and arms, and an add-on for his coat. Issues with the old hip articulation aside, the re-used pieces were all pretty good the first time around, and they add some nice consistency between the two figures. The new pieces are quite well sculpted, which is really great. The new head sits just a little bit too high on the neck, but the coat collar covers the issue for the most part, and the head itself is pretty fantastic. The head is really well detailed, and it’s a very good likeness of David Morrissey. 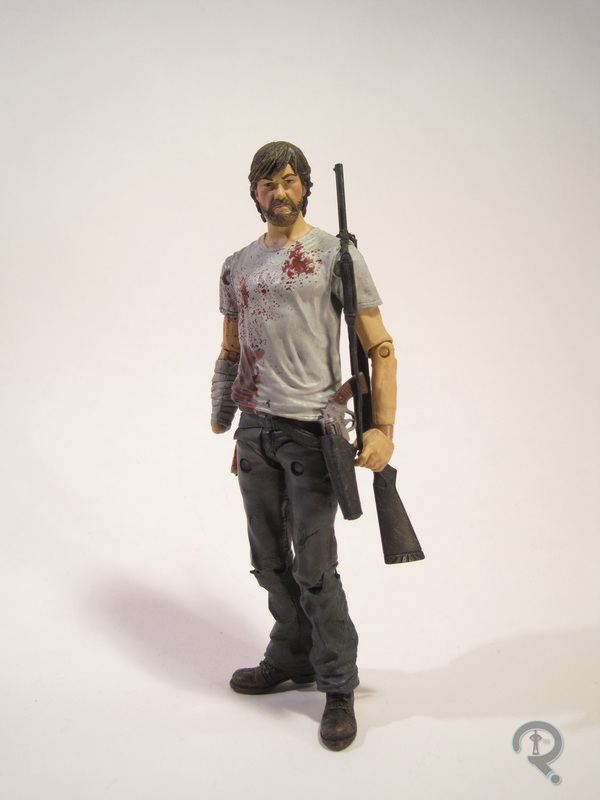 Paint seems to be a pretty consistent issue with The Walking Dead figures, and the Governor is no exception. There’s a bit of slop, especially around the edges of the bandaging on the head, and the hands and lower face both have a rather inconsistent wash. Other than that, the paint is actually pretty good; the clothing is sufficiently detailed, and there’s lots of work done to bring out the details of the sculpt. 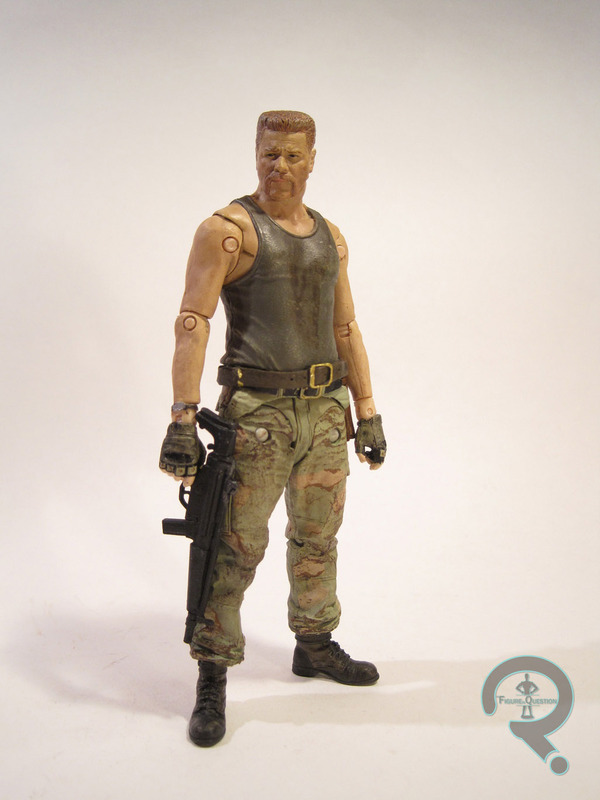 The Governor includes an alternate head with an eye-patch (the same as the one included with the last Governor), an assault rifle, a handgun, and a knife. While the alternate head presents a more default look for the Governor, it’s not as well sculpted or as well painted as the bandaged one; it looks a little like his face is sliding off. The assault rifle is a nice piece, but the figure has some serious difficulty holding it, meaning he’s pretty much limited to the knife and the handgun. 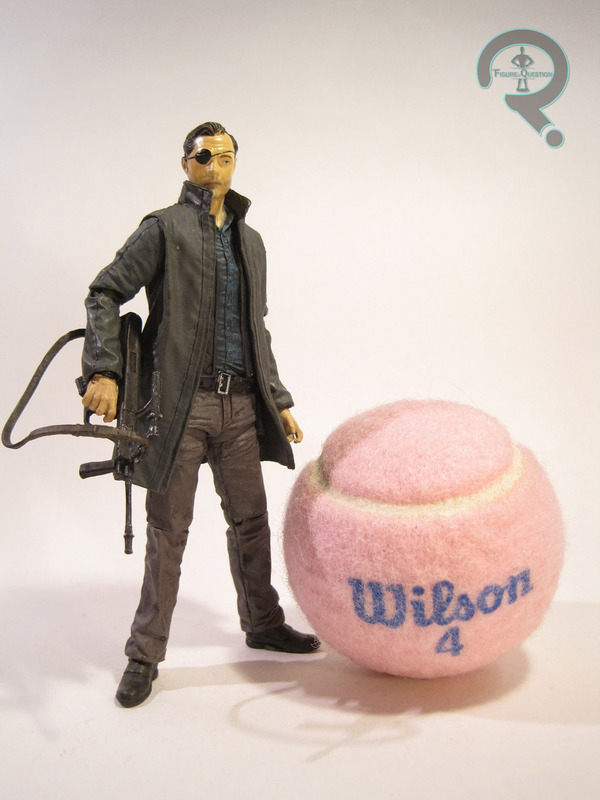 The Governor was ordered via Amazon, along with Rick and Abraham. I have to admit, he was probably the figure I was least interested in this series, for whatever reason. In hand, that all changed. I can’t say that the Governor’s really any better than any of the other figures in the series, but for whatever reason, I just really like this figure. He just looks really cool!